Wicketkeeper Alyssa Healy has been announced as captain of the NSW Breakers, replacing Alex Blackwell after her retirement from international and domestic cricket last summer. Alyssa’s appointment was approved by the Cricket NSW board. A popular figure in the Australian cricket fraternity, Alyssa has already started to put her stamp on the role and one of her initial priorities is to bring the men’s and women’s programs closer together. “Both teams have been successful in many formats over the year and I don’t think we tap into one another’s ideas,” said Alyssa. Alyssa scored 122 in last season’s final as NSW beat Western Australia to secure a remarkable 19th title from the past 22 seasons. She was also instrumental in helping the Sixers land back-to-back Women’s Big Bash League titles over the summer. 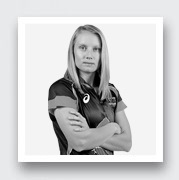 But captaincy presents a fresh challenge for the chirpy glovewoman, whose only senior leadership experience was when she led the Sixers to their first WBBL crown two years ago, whilst Perry was out injured. “I don’t know what it was but I had a great time doing it and I probably learned a little bit throughout the couple of games as well. On the field, being a wicketkeeper you’re a natural leader of the side anyway. You lift the team when they need a big lift and you’re keeping fielders in line, keeping players in line on the field,” said Alyssa. “There are natural leadership skills in the role you play on the field, but it’s how you approach it off the field. In saying that, I don’t think I’ll be too much of a different person.